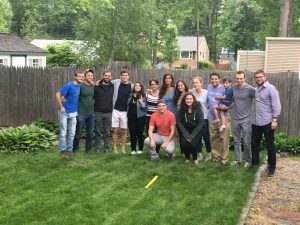 Alumni Corner – Kerem ‘07 Bar-B-Que in Connecticut. It’s often said that Yavneh does not end at the at the end of August. The ruach of the summer can carry us through the year. Well, the members of Kerem ‘07 know that the relationships we made at camp do not stop at the end of Kerem. These relationships represent a unity that will carry us throughout our lives. 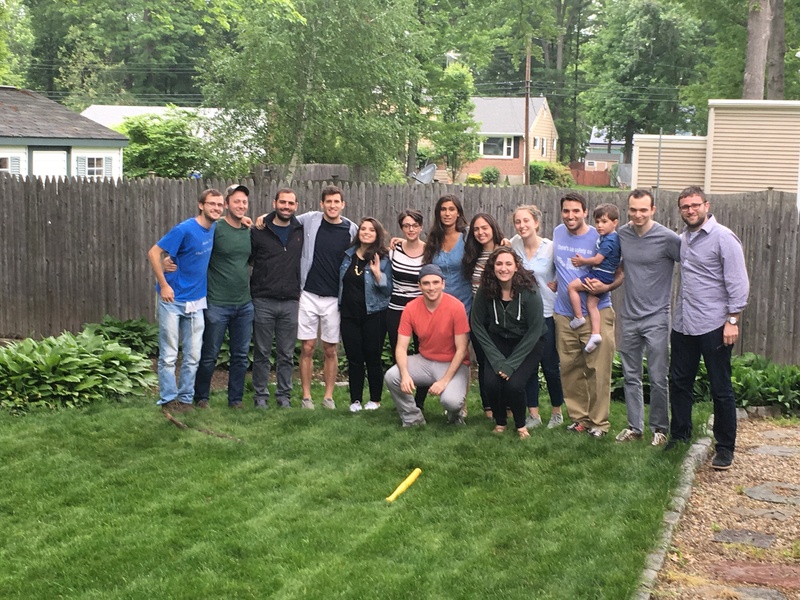 Many of the chanichim are still in regular contact with each other, (through texting regularly, living together and even serving as members of each other’s wedding party); however, we still wanted to find a time for all of us to come together and remember the good times at machaneh Yavneh. On June 4th, we celebrated the 10 year anniversary of the Kerem ‘07 revolution. The festivities kicked off with a round of dizzy izzy and the continued with a slideshow and videos from Kerem and Zimriya. Of course along the way we spent time laughing and reminiscing. By the time the winner of the raffle was announced it was clear that we would not want to wait another ten years for an event like this. L’shana ha bah b‘Northwood!